Wisdom of Life. 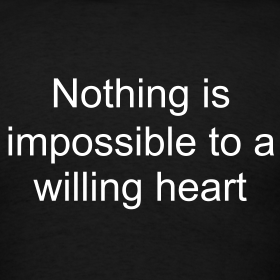 : To shoot with a willing heart. Han is our BDE, a young executive staff to assist our sales agencies. This morning he sent me this message... Quoted by Robert Townsend: "If you shoot for the stars & hit the moon, its OK. But you've got to shoot for something. A lot of people don't even shoot." Is good of him to motivate our sales team with this quotation in the early morning. I replied Han with my message... Quoted by Robert Foo: "When the mind aims to shoot with a willing heart, you will strike everything beautifully." It took me years to understand... Selling a product by comparison and competing is tough, whereas to sell with trust & respect is much easier. The upper needs to be learned, and the latter has to be earned. Han.. Shooting alone might end nowhere but when you aim to shoot with a willing heart, you capture the entire world. Hopefully you understand! Very good! I got your attention now. I know you would remember me as long as you work with us. Hope you have a good time with your mum this week young man.